Artists Gillian Wearing and Michael Landy commissioned fourth_space to design a new building on the site of their existing 2 storey studio, creating greater artist studio space with apartments above. The architect and client discussions led to a responsive approach that started from establishing development rights through simple geometries and led to a subtle but sophisticated spatial solution. 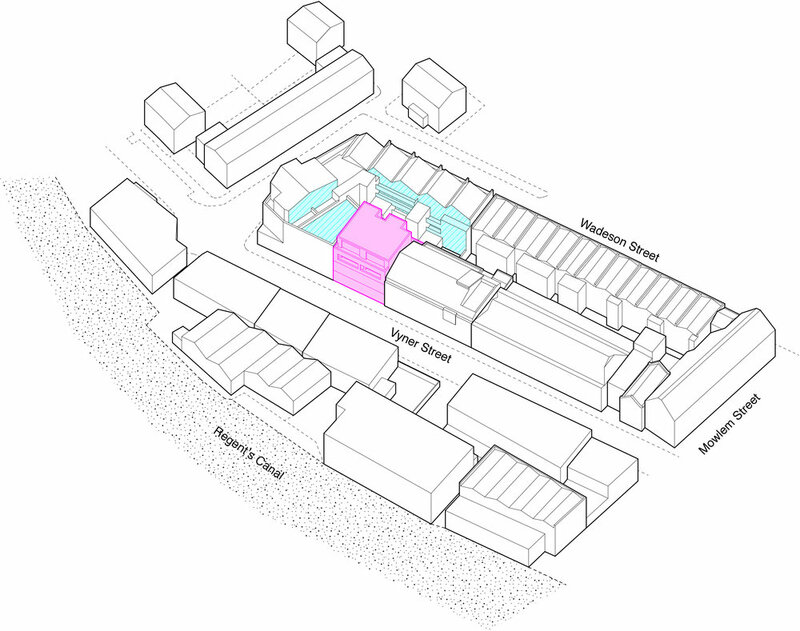 The new 4 storey building, in having only one elevation seen from the street, was designed to be engaged with a clear idea of public and private. 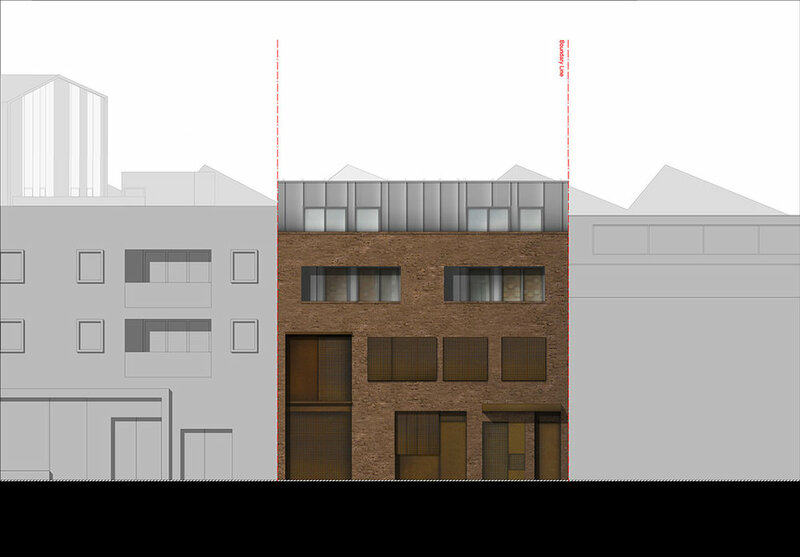 The more private residential accommodation is set back from the brick clad art studio/commercial spaces whose openings onto the street at the ground and first floor levels within the singular street elevation are expressed as more ‘public’. These elements are designed to be ‘active’ or ‘kinetic’ through the use of movable screens, shutters, and awnings in a manner which is integral to the design of the elevation and practical in terms of legibility and security. The project was granted planning permission and is expected to start on site sometime in the near future.